School districts around the country are faced with shrinking budgets and looking for ways to clean schools faster and more efficiently — without having to resort to outsourcing. In an effort to improve productivity and create a uniformed approach to cleaning, Rex Morrison, facilities management specialist at Washoe County School District, Reno, Nev., developed Process Cleaning for Healthy Schools. Process Cleaning incorporates zone cleaning with the workloading and specialization principals of team cleaning. Best practices identified by custodians working in Morrison's district were also included in the program. Distributors looking to trim their customers' cleaning times and improve cleanliness levels can train end users on this new method. In Process Cleaning, workers are assigned to a specific zone within the facility and are responsible for all the cleaning necessary in that area. To capitalize on efficiencies, cleaning tasks are divided into four parts (same as those for team cleaning) — primary cleaning, vacuuming, restroom sanitation and deep cleaning. Workers start with primary cleaning and move throughout their entire zone before moving on to vacuuming. "There is no starting or stopping," says Morrison. "Every time workers start and stop something new, you lose time, motivation and concentration. We want to eliminate that." Cleaning in a classroom using Process Cleaning is very systematic and requires workers to follow the steps precisely. Workers enter the room — locking the door behind them so there are no interruptions — clean the door glass, then disinfect the door handle, light switch and phone. Cleaners then move on to disinfect the desktops, sinks and counters. Once finished disinfecting, workers empty the trash and pencil sharpeners and remove large debris from floors that can't be lifted by vacuuming. Finally, workers clean the chalk/white boards and move on to the next classroom, following the exact same steps. When finished cleaning the entire zone, workers move on to part two: vacuuming. Using backpack vacuums, classrooms are divided into rows. If right-handed, janitors clean the left half all the way down the row, turn around and come back doing the other side. After vacuuming, janitors clean restrooms with touchless cleaning machines, squeegees and microfiber. Workers are instructed to clean from top to bottom while adhering to proper dwell times. 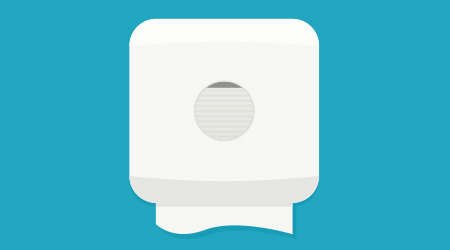 During this step, cleaners also restock soap and paper dispensers in restrooms and any classrooms. Step four is deep cleaning; workers' zones are mapped into five sections, each corresponding to a different day of the week. None of these jobs require daily attention, but should be done on a weekly basis, for example vacuuming exhaust fans or scouring sinks, urinals and toilets.